This past July, Florence, Italy, hosted an international sporting event. About 3,500 athletes from more than a dozen countries came to town. They were easy to spot. "You saw a lot of pink shirts because we're famous for our pink, fuchsia shirts," says Jane Frost, who was at the event. 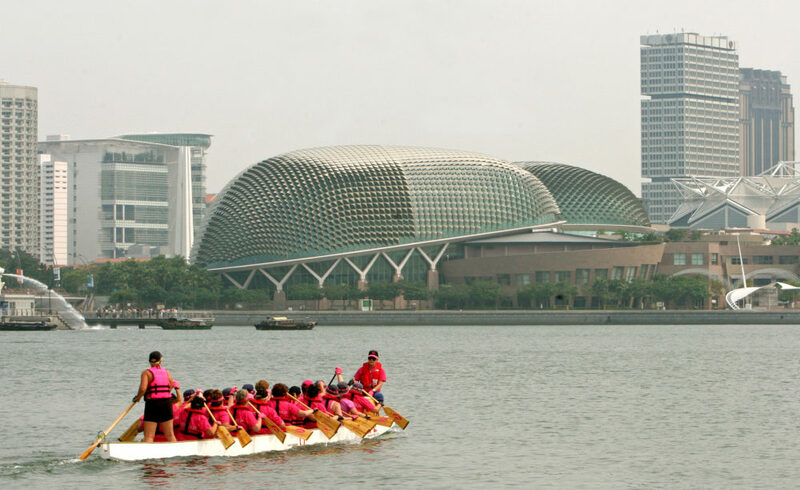 The athletes were all breast cancer survivors, and the sport was dragon boat racing. 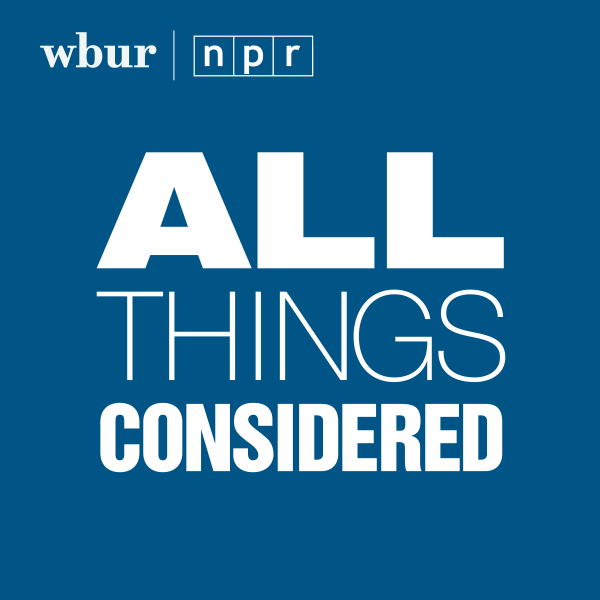 What’s the connection between an ancient Chinese competition and breast cancer? A good place to start is the year 1994, when Dr. Susan Harris, a physical therapist and professor at the University of British Columbia, was diagnosed with breast cancer. After her surgery and before she started radiation, Dr. Harris went home to visit her family. "I had a number of people question this project and say, 'Are you sure you want to do this?' "
"And it was a beautiful autumn day," she says. "So I was raking leaves and just putting the specter of cancer behind me for a bit." After the trip, Dr. Harris went to see her own physical therapist back in Vancouver. "She said, 'How was your holiday?' " Dr. Harris recalls. "And I said, 'Oh, it was great — I raked leaves with my family.' And she said, 'What? Repetitive upper body motion? That's terrible. Let me measure your arm.' "
Dr. Harris soon learned what women diagnosed with breast cancer had long been told: that repetitive upper body motion — even raking leaves — could cause a condition called lymphedema, a swelling that’s relatively common in the arms of breast cancer survivors who have had lymph nodes removed. "And, unfortunately, it's generally irreversible and can lead to other more serious conditions such as cellulitis," Dr. Harris says. She started thinking about all the things she’d no longer be able to do — not just raking leaves, but playing tennis. She says another patient was told she should no longer cut vegetables. "And I thought, 'This is gonna wreck my life,' " Dr. Harris recalls. But soon she started reviewing the medical literature on exercise and lymphedema. And she became skeptical. Around that same time, one of Dr. Harris’s colleagues at the University of British Columbia was also starting to question this supposed connection between exercise and lymphedema. Don McKenzie is a sports medicine physician and an exercise physiologist. 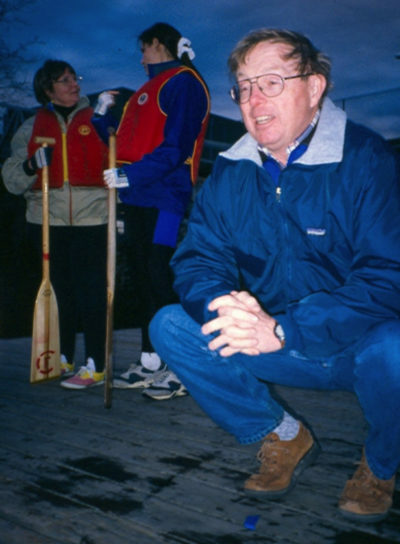 He was — and still is — a physician for Canada’s national canoe team. Dr. McKenzie had been unaware of the prevailing wisdom on exercise and lymphedema, until one day in 1995 when he tried to prescribe some upper body exercises to a female patient. "So I went into the medical literature and found out that there were no studies that proved that if you do this type of training or use your arm in this fashion it's going to create this swelling. So I decided, well, let’s challenge the myth." And Dr. McKenzie thought: what could be a better, more visible way of challenging the myth than having a bunch of breast cancer survivors paddling canoes? But they couldn’t use the same kind of canoes you see in the Olympics. "I wasn't going to put people into the flat water or sprint racing boats that are really tippy," he says. "The most stable craft that we have in the canoeing world is actually a dragon boat." Dragon Boat racing is believed to have started 2000 years ago in China. It’s since spread all over the world. The boats are long. They normally hold 20 paddlers, each with one oar, sitting two-by-two — plus a steersperson and a drummer to keep everyone in sync. So a dragon boat made sense, but that meant Dr. McKenzie would need two dozen breast cancer survivors who were willing to go against prevailing medical wisdom. "I had a number of people question this project and say, 'Are you sure you want to do this? You know, you've got 24 women that you've recruited, that volunteered to be there, what if a bunch of them get lymphedema? Then what?' " Dr. McKenzie says. But Dr. McKenzie believed in the project. And he had one crucial colleague who did, too: Dr. Susan Harris, the UBC physical therapist who’d been told to stop raking leaves. Not only would Dr. Harris come on as a researcher, she was also going to paddle on the dragon boat team. "I started to tell the women in my support group," she says. 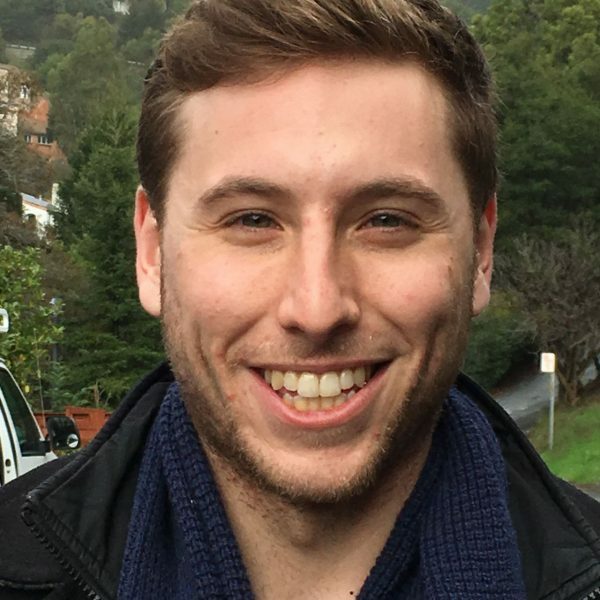 "So I was able to infect enthusiasm in other women as well." At that same time, Jane Frost from Vancouver was celebrating 10 years of being cancer-free. Her only paddling experience came from a few outings in a little row boat. "I wasn't an athlete at all," Frost says. But when she heard about this Dr. McKenzie at UBC who was looking for volunteers, she decided to show up to the first meeting. "They came out, and I showed them a video of a group of paddlers called the False Creek Women," Dr. McKenzie recalls. "And the False Creek Women are internationally famous. They’re world champions. But that was the only video I had." "Oh, my goodness. Many of us had never even seen a picture of a dragon boat, let alone a competition at that level. And he told us that was what we were going to be able to do one day," Frost says. "We were terrified." But Frost and the other women stuck around. She says there was some nervousness about what the sport could do for her health. "There was, but most people had faith in Don," she says. "So we overcame that. We’ve overcome a lot of obstacles." The plan was for the project to last six months. It would start with a few months of training in the gym, then a few months on water. Dr. Susan Harris and another physical therapist would take arm measurements throughout. And the team — they named it “Abreast In A Boat” — would row in a dragon boat festival that spring in Vancouver. "If they did that and didn't develop lymphedema ... well, that would be a strong message," Dr. McKenzie says. "I remember doing my first lat pull — the pull down of the bar above your head — and I started at a light weight of about 40 pounds, and I pulled down and I looked over at my arm to make sure it was OK," Dr. Harris recalls with a laugh. At the end of the project, none of the paddlers had developed lymphedema. "From my perspective, a hugely positive finding," Dr. McKenzie says. "I mean, I was really excited because A) we had just had a ball and B) we could say, for starters, that maybe this was safe," Dr. Harris says. In June of 1996, the first breast cancer survivor dragon boat team entered a competition. "We got into the boat for our first race and we were pretty scared," Frost recalls. "And we all thought we were going to die before we got to the finish line. But when we hit the finish line we had thousands of people cheering for us. It was remarkable." One of Frost’s friends came over to her. "Gave me a big hug, and she said, 'I’ll bet this is the first time you’ve ever broken out in a sweat, Jane?' " Frost recalls. "And she was right." Dr. McKenzie says Abreast In A Boat started getting a lot of media attention. "So I was really happy that we were getting the message out, but I also thought, 'Well, OK. That's the end of that project,' " Dr. McKenzie recalls. He quickly learned the team had a different plan. "I canvassed all our paddlers to see if they wanted to carry on, and, to a person, they said yes," Frost recalls. "So then I just approached him, and he didn’t really have much of a choice, to be honest. He got us into this. He has to carry on." In 1998, Dr. McKenzie wrote about the ’96 Abreast In A Boat team in the Canadian Medical Association Journal, noting, "We did not see the cases of lymphedema we had been warned about." "He didn’t really have much of a choice, to be honest. He got us into this. He has to carry on." In 2000, Dr. Harris and her colleague Sherri Niesen-Vertommen published the results of the measurements they'd taken during that first season in a journal for surgical oncology. Dr. McKenzie and others followed up with additional studies that came to the same conclusion. But how exactly did we get to the global breast cancer survivor dragon boat phenomenon we have today? To answer that question, I have to tell you about a woman named Sandy Smith. "She joined our boat in the second year, 1997," Frost says. "And she was quite quiet, but she was brave. She had a wonderful stroke. She was a beautiful paddler. We all vied to sit behind her." "I’d say, 'Well, if you want to look at how it’s supposed to be done on the water, have a look at Sandy Smith,' ” Dr. McKenzie recalls. Dragon boat teams were springing up in Victoria and Montreal, and more women from around the world were reaching out about forming their own teams. Someone in Vancouver needed to take the lead on helping out. "So we asked Sandy if she would take it on, and she was very enthusiastic," Frost recalls. "She did an awful lot to kind of bring this to the global space that it’s in today," Dr. McKenzie says. "And then in 2002, she got sick again. And we all rallied around, but sadly she died," Frost says. "We talk about our fallen angels. The ones who have gone. And there's a lot of them. It's very hard. That's the hardest part of this, is watching people have recurrences and being with them." 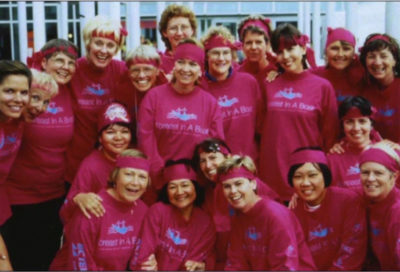 Not long after Sandy Smith died in 2005, the first international breast cancer survivor dragon boat festival was held in Vancouver. Smith’s teammates came up with a plan to honor her with a race. But it wasn’t going to be a regular race: instead of pitting teams from around the world against each other, all the boats would be made up of paddlers from different teams and countries. The Sandy Smith Global Finale is held at all the international festivals, including this past summer’s event in Florence. "That’s truly international," Dr. McKenzie says. "And that’s where the Sandy Smith race belongs." Of the 24 original members of Abreast In A Boat, 22 are still alive. Dr. Susan Harris published another article in 2012, which reviewed research showing that, not only is exercise safe for breast cancer survivors, it can actually reduce rates of recurrence, too. She still plays tennis — and feels safe cutting vegetables. Dr. Don McKenzie has continued to research cancer and exercise, and he still travels around the world, spreading the message that exercise should be a part of treatment for women who've had breast cancer. Jane Frost helped found and became the first president of the International Breast Cancer Paddlers Commission. And as she stood on the bank of the Arno River in Florence, Italy, this past summer, she took a moment to observe the movement she helped inspire. "We cried a lot and we laughed a lot, and we continue to do that," she says. "And I got quite emotional looking at the hundreds and hundreds and hundreds of women who had all been active and were fit and good paddlers and happy. And I was pretty proud."